GAINESVILLE, FL: Students in the Outreach Engineering Management (OEM) Class of 2014 began their program of study this weekend in Gainesville. This class is the largest one in history, with 58 students. For the seventh straight year, classes will be held in Orlando,with the exception of the opening weekend (August 17-19) in Gainesville. Classes are held one weekend a month over 20 months, culminating in earning a Master’s of Industrial and Systems Engineering degree. This year’s class is comprised of students from a wide variety of academic and professional backgrounds. Forty-one students graduated from Florida’s state university system (including 21 from UF), and 14 completed their degrees from universities outside of the state of Florida. Twenty students have an undergraduate major in Mechanical and/or Aerospace Engineering, eight students have an undergraduate degree in Electrical Engineering, and eight students have a bachelor’s degree in Industrial Engineering (five of which are returning to their home department). Students average seven years of experience, with 41 different employers represented in the group, adding a range of viewpoints and experiences to class discussions. There are eight students who are employed by Lockheed Martin, four from Disney, and three from Rockwell Collins. Twenty percent of students in the class are female. Less than half of students (23) live in the greater Orlando area, and the rest will be commuting from other cities each month, including 10 who will be coming from the Jacksonville area. This is the 16th installment of the program, which boasts a 90% graduation rate and nearly 500 alumni. 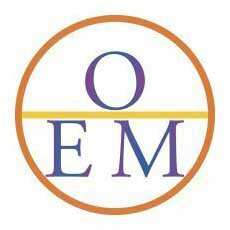 For more information about OEM, please visit their website. Next Next post: New Academic Year Underway!